home/ » Can a conservatory be used as a living room? Can a conservatory be used as a living room? A conservatory should be far more than just a bolt-on to your home where you sit in those few months when it’s sunny but not warm enough to sit outside. With a little imagination and a few alterations, your conservatory could become the beating heart of your home. Is it time to transform your conservatory into your new living room? Let’s look at what’s possible and what you might need to do to achieve a better use of the space. What does a living room mean to you? We all use our living rooms in different ways – for some people, it’s somewhere to catch up with TV, for others it’s a place for gaming and playing with the kids. For others, it might be a relaxing place for curling up with a book and a bowl of something tasty. Thinking about how you want to use the space can help you make choices about the furniture, layout, decor and design needed in your conservatory. It’s also important to consider your lifestyle and the times of day when you’ll be using the space most, as this will impact things like lighting, colour and heating. Not too hot, not too cold – sort your temperature! For many people, temperature is a major reason why a conservatory is underused. This can be tackled with measures such as the installation of underfloor heating, putting in thermal blinds, or even something as simple as tackling draughts and worn seals around glazing units. A solid conservatory roof will also make a world of difference to the comfort of your conservatory. Light, modern tiles specially designed for conservatories can be installed easily on top of your existing structure. This is much cheaper than a full conservatory replacement and can make a substantial difference to insulation – helping to keep the space cooler in summer and warmer in winter. You’ll be able to turn down the heater or fan, so you’re not running up an electricity bill every time you use the space. 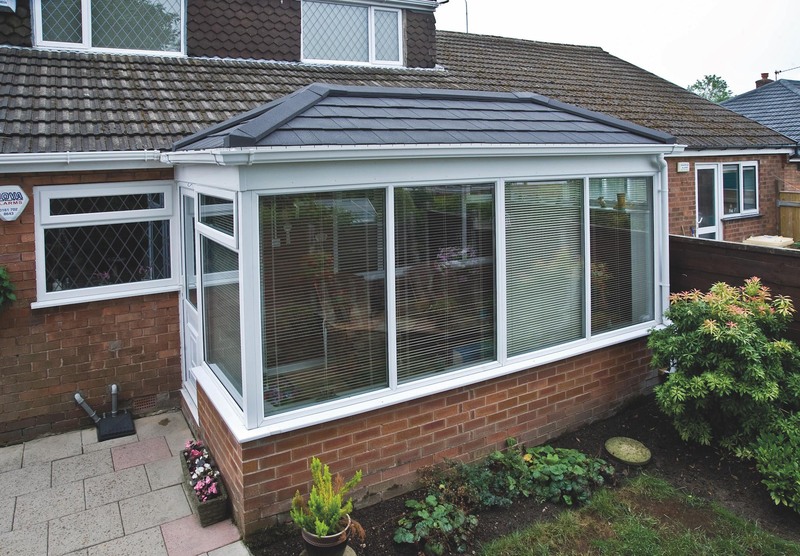 A tiled roof on your conservatory also makes a huge visual impact, changing the space from a glass box to a sleek, stylish space that is more in keeping with the rest of your home. From within, the roof has a plastered surface like any other wall, so it looks clean, neat and reassuringly solid. Adding low-level dwarf walls can also improve insulation and enhance the atmosphere. Conservatories often become unloved because they lack a central point of focus. In most living rooms, the eye is naturally drawn to something – a fireplace for example, or a bright bay window. Finding the focal point of your conservatory can help build a more welcoming and relaxing atmosphere. The focal point might be a stunning view of your garden or the surrounding area, perhaps set off by some bi-fold doors. Or it could be something within the space – for example striking artwork, a mirror or a piece of furniture. You might want to personalise the space by adding photos of children or poster art of your favourite sports team. The aim is to make the conservatory a place in its own right rather than little more than a passageway to the garden. Furniture can make or break a living space. A common mistake is to try to fit too much into a conservatory – ideally there should be plenty of floor space and room to move around. Make sure this floor space doesn’t get clogged with clutter – toys, boxes and other bits without an obvious home. A simple corner sofa and coffee table can work really well in a conservatory living room – use flowers, ornaments and brightly coloured cushions to add a personal touch. Discreet entertainment systems such as a projector and drop-down screen can also help to keep the relaxing vibe. Ready to maximise your conservatory’s potential? Making your conservatory into a year-round living space can add value to your property, as well as giving you a wonderful place to relax and enjoy your family. Why not give your conservatory a little bit more love? Is your conservatory achieving its potential? A great conservatory should be an asset to your home all year round, but all too often they are only usable for limited periods of the year. Our complete guide tells you everything you need to know, from planning to post-installation! 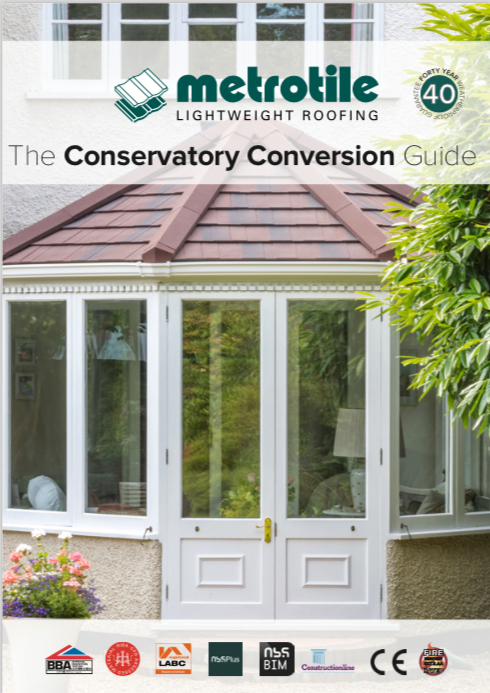 Are solid conservatory roofs worth it? Can I put a tiled roof on my conservatory?